April Falls Day on 3 April is an opportunity to promote moving right to stay upright across your hospital, community setting or residential aged care facility. Poor balance and strength, due to ageing and inactivity, can affect an older person’s mobility and put them at an increased risk of a fall. A person’s mobility may also be reduced due to the effects of medications, acute events and illnesses (e.g. stroke, hip fracture, infection), chronic conditions (e.g. arthritis, diabetes, pain), and cognitive impairment and/or delirium. 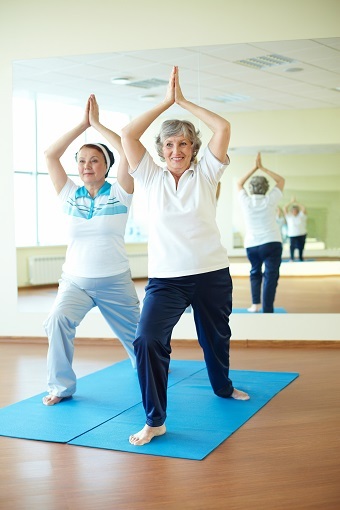 There are evidence-based interventions that can reduce an older person’s risk of falling, including balance and strength exercises. SNPHN is committed to falls prevention in the region, which includes improving access to appropriate fall prevention interventions for older people. The iSOLVE project, a partnership between the University of Sydney, the NSW Clinical Excellence Commission and SNPHN, aims to establish integrated processes and pathways between general practice, allied health services and programs to identify older people at risk of falls and engage a whole of primary care approach to falls prevention. Prof Lindy Clemson and a team of multidisciplinary researchers – including GPs – have developed a clinical decision tool and resources based on the latest research evidence and practice guidelines. We anticipate that these will help GPs and practice nurses identify people at risk of falling and provide tailored management options. GPs are also offered a directory of trained fall prevention service providers in their local area to facilitate patient referral. The clinical decision tool, resources and referral directory are being offered to GP practices as part of a trial, with 27 GP practices currently participating. Practices are welcome to express interest through SNPHN or to project coordinator, Amy Tan at amy.tan@sydney.edu.au or on 02 9036 7463. For more information, see our iSOLVE page.